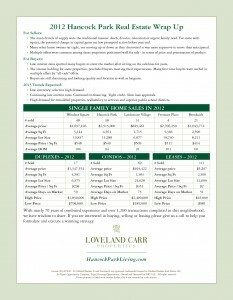 2012 Final Updates – Hancock Park Real Estate from Loveland Carr Properties. Loveland Carr is a family business with a comprehensive professional support staff working together for you in Hancock Park, Windsor Square, Larchmont Village, and Greater Los Angeles. "Sue Carr was a pillar of professionalism and courtesy throughout our transaction. She advised us well, reassured us all along the way that everything would work out, and maximized our profit on the deal, such that we realized far more than we originally expected."